Can a DPF cause turbocharger failure? 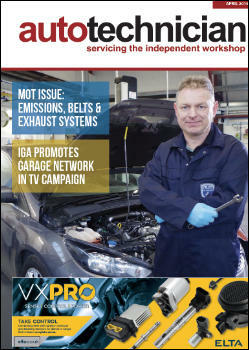 You are at:Home»Product»Can a DPF cause turbocharger failure? There are many technical documents relating to how a faulty turbo can lead to Diesel Particulate Filter damage. However, the DPF is responsible for more turbo related failures than you might think. Antony Collins, Technical Specialist at Melett, explores what effect a blocked DPF can have on a turbocharger. the combustion process to this level was not technically possible, so this meant diesel vehicles after September 2009 were fitted with a DPF to capture soot and other harmful particles, preventing them entering the atmosphere. A DPF can remove around 85% of the particulates from the exhaust gas. A blocked DPF, however, will not work correctly to achieve this. SO, WHAT HAPPENS TO THE TURBO WHEN A DPF IS BLOCKED? A blocked DPF prevents exhaust gas passing through the exhaust system at the required rate. As a result, back pressure and exhaust gas temperatures increase within the turbine housing, causing problems with efficiency, oil leaks, carbonisation of oil within the turbo and exhaust gas leaks from the turbo. Drivers may experience turbo lag or over boost of the turbo. Discolouration of parts within the core assembly (CHRA), usually with evidence that the heat is transferring through the CHRA from the turbine side. The excessive temperature is caused by back pressure forcing the exhaust gas through the piston ring seals and into the CHRA. The high temperature exhaust gas can prevent efficient oil cooling within the CHRA and carbonise the oil, restricting oil feeds and causing wear to the bearing systems. This type of failure can often be mistaken as a lack of lubrication or contaminated oil. Carbon build-up in the turbine side piston ring groove caused by the increased exhaust gas temperatures. Carbon build up in the turbine housing wastegate and VNT mechanism will restrict movement of the levers and affect performance of the turbo. In some cases, soot build up can be seen on the back face of the seal plate where the exhaust gas has been forced through. 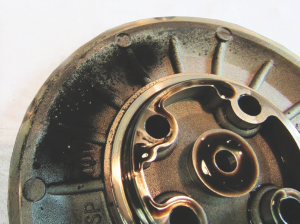 Oil leaks into the compressor housing can occur due to exhaust gas forcing its way into the CHRA from the turbine side and forcing oil through the oil seal on the compressor side. 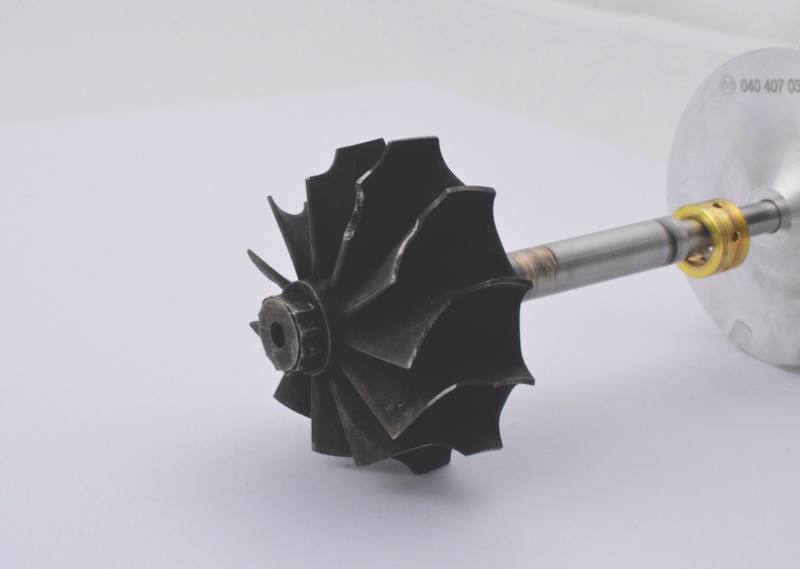 Turbine wheel failure through high cycle fatigue, caused by temperature increase. It is essential to identify the failure mode and determine whether a DPF related issue is the root cause. 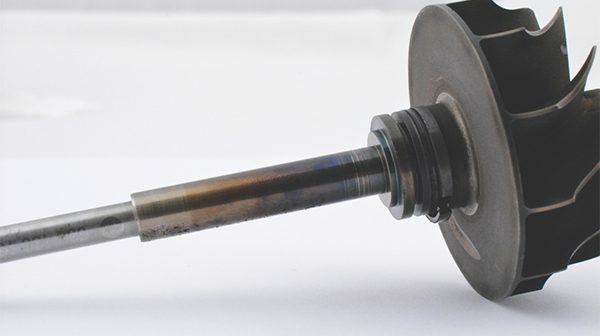 If the entire rotor assembly is OK and there are signs of overheating at the turbine side of the CHRA, the failure is likely to be caused by excessive exhaust gas temperatures, indicating a blocked DPF. Determine whether the DPF is blocked. Contact a DPF specialist for advice. Replace the DPF with a high-quality replacement. If the DPF is blocked, always replace the turbocharger CHRA to prevent possible oil leaks. Check the actuator achieves its full range of movement, particularly if electronic, as internal components could be worn. One final consideration, it takes time for a DPF to block, sometimes years. Once blocked though, turbo failure can occur very quickly. If you don’t check for a DPF issue when installing a replacement turbo, there is a very high chance the replacement turbo will suffer the same failure, as it will be subject to the same operating environment as the previous unit.